Gather your barkada to sample these imported ales praised by beer aficionados. Dare each other to take those with the highest IBU (international bittering unit). For most young adults, a wild night out isn't complete without a little booze; just make sure you drink moderately. While we love our regular cocktails and wines, nothing beats good ol' beer. Not only are our local beers easy on the pocket, they also give just the right buzz and have a downright refreshing taste. Still, we at Cosmo are always encouraging you to try something new and experience different things whenever you can, so if you want to sample good imported beers, gather your gang for a fun gimik at The Tasting Corner in Craft Pub & Grill at The Fort Strip. The Tasting Corner is the newest hotspot for snagging "craft" or specialty beers that are imported and distributed by Global Beer Exchange. 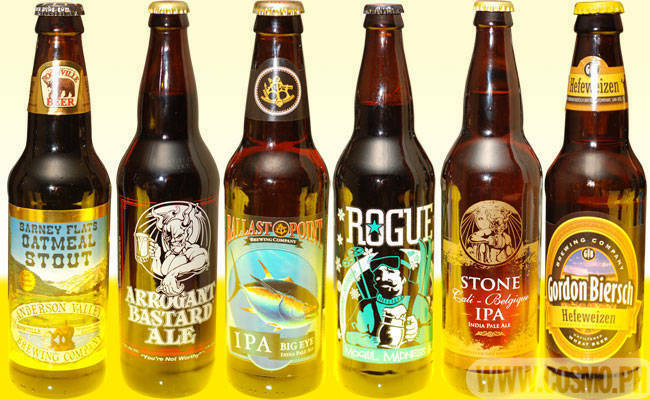 The company stocks over 90 specialty beers from USA, Europe, and beyond--many of which are available at Craft. Craft recently held a beer-tasting event to introduce some of the bottles they offer, and Cosmo had the chance to sample ten of the best beer choices you and your friends can check out on your next inuman. The restaurant served some of their best-selling dishes to complement the beers. The Tasting Corner is located inside Craft Pub & Grill, Unit-E, Fort Entertainment Complex, 5th Avenue cor. 26th Street, Bonifacio Global City, Taguig. For inquiries, call 846-1715.